I started podcasting because I wanted to share with people that follow my newsletter, socially, etc.. that people are doing a lot of fun and cool things out there in this digital world. Selfishly, I also wanted to talk to people that inspire me and in some form this has been a chance for me to be mentored by them while giving them a platform to engage with my audience which they may not otherwise reach. Fair exchange. I’m grateful for all of those opportunities and look forward to many more. The fact is I’m still learning. I always want to stay in learning mode. I’ll continue to follow great podcasters like Pat Flynn, Joel Louis and many others. They have been my influence and I’ve been grateful for them and others that are willing to share the road they’ve travelled. I want to do the same. In this book, you will find every piece of equipment I work with to date of this book. This is not meant to be a technical guide. This is meant to inspire you to start today and get right to the meat of what you need to start wherever you are. Podcasting is fast becoming one of the most accepted, effective and powerful method for generating rich website content in this “new media” age because for the most part, it’s easy and cheap, and because there’s an infrastructure that’s been built by other third parties. Today’s Internet users are getting more and more familiar with the term “podcasting”. 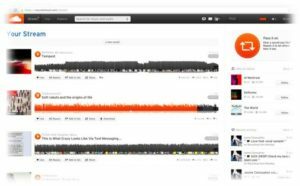 Podcasting is essentially a free service that enables listeners to pull audio files (mostly MP3s) from a podcasting site (i.e. iTunes) to listen on their device. The term podcasting comes from a combination of the words iPod (Apple audio player) and broadcasting. Even though podcasting is derived from the iPod, you don’t need an iPod to listen to a podcast. You can use virtually any digital media player or your computer. For every interview, I use Skype and have never had any pushback from guests about doing so. To record those calls, I use a software called SuperTinTin for PC ($29 one-time license fee). There’s a handful of other options as well like Pamela for PC and Ecamm for a MAC. Choose what works best for you. 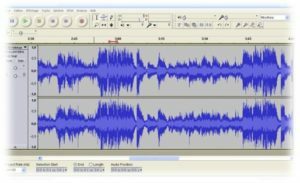 AUDACITY: Audacity is a free and application to record and edit audio. Audacity features simple tools open-source for splicing and mixing sound. Edit a different sound files and apply quality and multiple effects, it also changes speed or pitch. Audacity also features a podcasting forum for community support. LIBSYN: Libsyn from ‘Liberated Syndication’ is a podcast network whose function is to create, host, publish and promote your podcast. libsyn has over 10,000 podcasts delivered to more than 18 million monthly audience members. With four different kinds of content accepted by libsyn app, your audience can enjoy extras, blog posts, transcripts and more all in just one place. SCHEDULE ONCE: Schedule once is a scheduling assistant app useful in booking guest interviews. Schedule once integrates with different kinds of calendar apps, including Google Calendar, Apple Calendar, and Outlook. All you need to do is to just click from your booking page and choose from available time slots. When booked, the appointment is automatically added to your calendar and confirmation is sent. SPREAKER: Spreaker is a podcast platform to create, host, and distribute your podcasts. 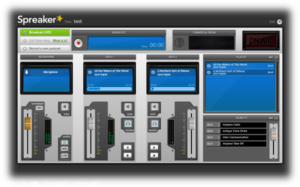 Pre-record or broadcast live via the studio console, from desktop or mobile device. Mix voice with tracks and effects on the fly. spreaker also enable easy sharing across all the major social networks, as and well provide embeddable players for any website. The microphone is obviously an important piece of equipment for recording sound and really does make the difference between a good podcast and not. It’s important that you have the correct accessories to get the best use out of it, whether it’s getting the right microphone angle with an extended boom pole or clipping to the correct microphone clip with a microphone thread adaptor. I’ve slowly built this up but I still have not paid over $300 for my equipment. 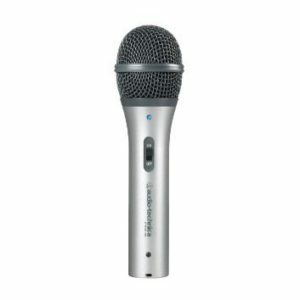 AUDIO-TECHNICA ATR100-USB CARDIOID DYNAMIC USB/XLR MICROPHONE: The ATR2100-USB is designed to take you from the stage to the studio and even beyond. This rugged handheld microphone has two outputs, USB output for digital recording, and an XLR output that connects with a sound system’s conventional microphone input for use during live performance. The microphone plugs right into your computer’s USB port, and functions seamlessly with your favorite recording software. 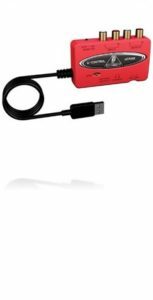 The ATR2100-USB also offers a quality analog-to-digital converter, and a headphone output with level control for monitoring. Its cardioid polar pattern reduces pickup of unwanted sounds from the sides and rear. The microphone is for podcasting, home studio recording, field recording, and voiceover use. DRAGONPAD POP FILTER® STUDIO MICROPHONE MIC WIND SCREEN POP FILTER SWIVEL MOUNT 360- WIND SCREEN– it is very Convenient and easy to use, Protects your microphone from surplus spit caused by over eager performers. 360 degree flexible gooseneck holder is so much convenient for use. Swivel mount for easy installation. NEEWER MICROPHONE SUSPENSION BOOM SCISSOR ARM STAND- The newer Black Scissor Arm Stand is made of high quality steel frame, plastic Microphone Clip sturdy and durable, and can be fold, it is also convenient to carry. The adjustable arms allow you to carry it with you easily and adjust the suitable angle and height to show your perfect voice. It can be mounted on the announcers’ table with the Table Mounting Clamp.it has a compact microphone stand designed for heavy duty carry. Suitable for any stores, families, stages, studios, broadcasting and TV stations, etc. 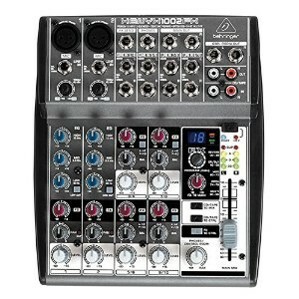 BEHRINGER XENYX 1002FX- This sound device has a premium ultra-low noise, high headroom analog mixer. It has two quality XENYX Microphone Preamps comparable to stand-alone boutique preamps. It also has the neo-classic “British” 3-band EQs for warm and musical sounds. The Studio-grade stereo FX processor with 100 awesome presets including reverb, chorus, flanger, delay, pitch shifter and various multi-effects makes it more unique. FX sends control per channel for internal FX processor and/or as external send. The XENYX 1002FX has 10 inputs and a FX Send control for each channel. It also has a CD/tape inputs have been incorporated for routing flexibility. BEHRINGER U-CONTROL UCA222- allows you to connect instruments and other audio devices to your computer, effectively merging the analog and digital worlds. It does this by providing two analog mono Inputs and Outputs (for monitoring), USB connectivity and an additional S/PDIF optical output. The stereo headphone output features a dedicated level control and lets you listen to both the input and output. HOSA CABLE CRA201 DUAL RCA TO DUAL RCA CABLE – This cable is designed to interconnect gear with stereo phone jacks. 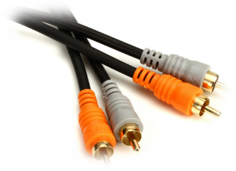 It is ideal for interconnecting consumer audio components, Nickel-plated plugs for rugged, durability and efficient signal transfer, Oxygen-Free Copper (OFC) conductors for enhanced signal clarity, OFC spiral shields for effective EMI and RFI rejection and flexibility, Connectors. Have you ever heard about the podcast Serial? This is an extreme example but there were over 5 million downloads on iTunes and as of 2015, that is the biggest podcast to date. 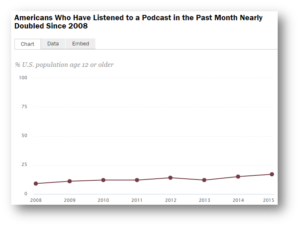 According to a pew research done the percentage of Americans (and more) who have listened to a podcast in the past month has almost doubled since 2008, from 9% to 17% by January of 2015. The percentage listening in 2015 was up two points over 2014 levels (15%). So why not you. Yours may not be a ‘Serial’ but there’s an audience for you. Statistics show that podcast listeners are more likely to follow brands. You and your product can take advantage of it. And the good part is the podcast listening market is split right down the middle (50/50) between males and females so this is a demographic that touches across lines. Are you building a brand? Looking to get a message across on a specific topic or niche? This is a growing market to use as a vehicle to get that across. Why not now? Why not you? Here are some quick things to consider before taking off. 1. Your message. What is it that you want to talk about? Even if no one listens for weeks and maybe months, is it still important enough to you to put the content out. Not saying that will be the expectation but that’s your gut check. Don’t let listens determine your success. 2. Plan out the content. If you’re getting guests, be sure to do your due diligence on them. Buy their product (books, etc..) so you can honestly speak to it. 4.Try to master some of the tools I’ve outlined between the hardware and software. You’ll be a pro In 6 months. 5.Continue learning, testing and not afraid of making mistakes. You can hear my growth through the episodes and I’m committed to this. I’m rooting for you. Reach out anytime. I want to hear about your journey. Find me on My Twitter username is @priestwillis and let me know what you thought. Want to stay on top of Affiliate Mission or Mission & Marketplace podcast news? Join our monthly email and you’ll be in the know. Once a criminal, always a criminal… right? Not necessarily.